In case you haven't noticed, I'm really bad at posting. But a few days ago I found a post/tag thing that seemed pretty easy, so here it is! 1) Currently reading? Hattie Big Sky. It's a cute story about a girl homesteading during World War One, but...historical fiction is just not my thing. I'm only reading it because I've got nothing else at the moment. 2) Should’ve read, like, yesterday? The Neptune Project. I saw it at Half Price Books foreverrrr ago, but never got around to it. AND THEN I BOUGHT IT AND DEVOURED IT IN A DAY AND A HALF. WOW. WHERE IS THE SEQUEL BECAUSE I NEED IT. 4) Hyped vs backlist titles? I...actually don't read that many popular books/series? I love finding random, unadored books and then sobbing over the lack of fanbase/shoving them in everyone's faces. 5) Current series crush? THE LUNAR CHRONICLES, FOREVER AND EVER. I'm so obsessed; it's a problem. 6) How strong is your self-control around books? My mother is my self-control. Every time we go to the bookstore or the library, I come back with like ten books and she talks me out of most of them. It's very annoying but also good for my money/time. 7) Plot vs characters? Characters. Always. A good plot can't redeem lame characters. 8) Would you write under a pseudonym? I've actually considered it, but that's something I'll figure out later. 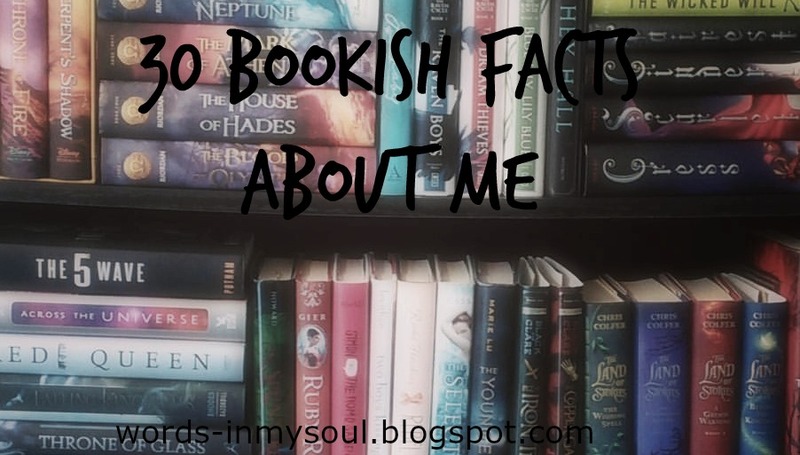 9) Would you marry your bookshelf? Actually, my bookshelves are rather...boring? I have no pretty organization. But I do have them organized by genre. Well, I did, before we had to pack them up to move. 10) Do you ever get sick of reading? Who doesn't? I get sick of everything sometimes. 12) Character you relate to? Abigail Rook from Jackaby, honestly. I adore her. And Cress from (who would have guessed) Cress. 13) Do you own bookish merchandise? I've got a Gryffindor t-shirt, but other than that, my life is sadly bookish-merchandise-free. But there's this artist I know on Tumblr, and she has pictures of Cress, Cinder, Scarlet, and Winter as the four seasons, and sells them on redbubble. And, because I'm ridiculously obsessed with mugs for someone who never drinks coffee or tea, I'm going to get all four mugs eventually. 14) Controversial opinion? I do not care about Divergent. At all. Or The Mortal Instruments. 15) NOTP? Laia and Elias from An Ember in the Ashes. Please. Do not. 16) Why didn’t I love this? The School for Good and Evil. As Mia Thermopolis said very wisely, "The concept is grasped. The execution is a little...elusive." 18) Do you ever like villains? I am one of those rare people who doesn't like villains because they're, y'know, evil, and usually trying to kill the characters I actually care about. 19) Cringeable reads? Honestly? Fahrenheit 451. I read it freshman year and kinda hated it. I'm thinking about reading it again, though, because my 14-year-old self was a cranky little muffin about school, and also not all that smart. 20) Where do you get your books from? Half Price Books, because I am poor. 21) Haunting read? Challenger Deep. If you've ever read this, you know what I mean. It's about a boy's struggle with mental illness, and, to be honest, I probably shouldn't have read this while my own mental health was shaky. Because it left me very weird and freaked out for a few days. But dang, it was good. 22) Highly anticipated upcoming release? Heartless by Marissa Meyer. I NEED THIS AND I NEED IT NOW. 23) Annoying character qualities? When they don't see very obvious things that are staring them in the face. When they spend forever moping over stupid things. WHEN THE GIRL CHOOSES THE BAD BOY IN HER LOVE TRIANGLE, AGAINST HER WILL AND BETTER JUDGEMENT, BECAUSE HE'S HOT. OR SOMETHING. 24) Least favorite genre? Well, I've never read horror, and I probably never will. Historical fiction definitely isn't my favorite, but I'll read it sometimes. 25) Best tropes? If I'm being perfectly honest, I'm still not quite sure what a trope is. 26) Rereading? Reread alllllll the things. Always. I love rereads(and since I rarely buy books or go to the library, I have to reread a lot). 27) Have you abused a book? I HAD TO SHOVE A PAPERBACK INTO MY BACKPACK VERY FAST AND WHEN I GOT IT OUT AGAIN, THE COVER HAD FOLDED OVER AND IS FOREVER CREASED AND I STILL SOB ABOUT IT SOMETIMES. 28) Series you quit on? When I started Ember In The Ashes and Legend, I couldn't stop...then I finished them, set them aside, thought about them, and realized that I just didn't care. I don't hate them, but they're very "meh" books and I definitely don't care enough to finish the series. And OH MY, HOW I WISHED I HAD DNF'ED THE MATCHED SERIES. I enjoyed the first book, but everything just went downhill and none of my ships sailed and THE ENDING! I'm still bitter about that. 29) Wish it wasn’t a standalone? Book Of A Thousand Days. I don't even know what it would be about, but I want more of Dasthi and Khan Tegus and Saren and everythingggg. 30) Bad bookworm side-effects? Increased vocabulary, lack of satisfaction with one's boring life, the urge to write a bestselling novel, staying up late because "one more chapter", incoherent rambling, and more. What character(s) do you relate to? What book impacted you? What's your favorite series? Are you glad I'm back or should I stay in the deep dark hole of blog-less-ness? I KNOW RIGHT? HER SKILLS ARE UNFAIR.